Cloud Carib Limited is extending its reach across the Caribbean and Latin America, bringing several new data centers to the region. 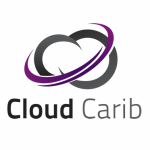 Cloud Carib is the premiere managed cloud service provider in the Caribbean. The organization has data centers located in Nassau (New Providence) and Freeport (Grand Bahama) in the Bahamas and is launching a newly rebuilt CaribPod data center in Panama. Cloud Carib has announced service extensions into Barbados and Jamaica and additional regional sites planned in Trinidad, Cayman, and other locations before the end of 2017. “Our strategic expansion demonstrates our continuing commitment to clients that we’re delivering best in-class services directly to them and allowing our clients to choose a location that best suits their needs. We’re helping clients design a solution for them not providing cookie cutter solutions and forcing them to work within those constraints – Cloud Carib is dedicated to service excellence for our clients”, said Scott MacKenzie, Chief Commercial Officer at Cloud Carib. Cloud Carib’s data centers are serviced 24/7 by their own Command and Control Centre to provide clients around the clock support and monitoring. All Cloud Carib datacenters are operated in alignment to international standards with service supported by the Cloud Carib Service Management Framework. Due to the regions geographical advantages, there’s been an explosion of organizations interested in cloud services provided through the Bahamas and Caribbean region. Cloud Carib has responded to the growing demand with regional expansion, demonstrating their commitment as the regions premiere managed cloud service provider.